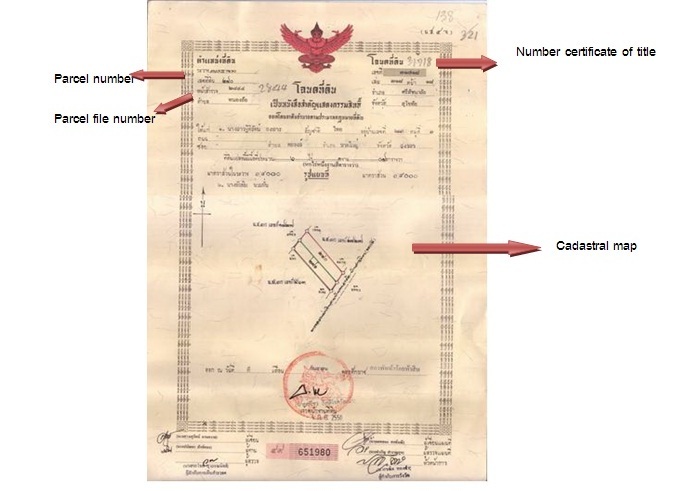 A Nor Sor 4 in Thailand land law is a property title deed is registered at the Land Department and grants the holder of the documents full rights over the land. This is also known as a chanote. 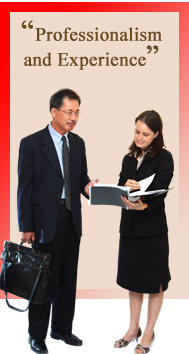 It is therefore the strongest and most favorable type of title deed in Thailand real estate law. The title deed contains an accurate legal description of the land boundary markers that are carefully ascertained and referenced by aerial satellite images. 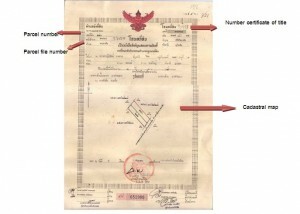 The certificate of title must include the cadastral map, the parcel number, the parcel file and the certificate of title number. – Lawful possession of the land with the certificate of title as evidence. – Accurate location and scope of the land boundary.